If you’re a teen looking for information about Invisalign®, you’ve come to the right place. You might want to go grab your parents because if you need braces, this may be your big chance to convince them that Invisalign® really is a better alternative to the old-fashioned wire and brackets of their youth. Yeah, metal braces will get the job done, but Invisalign® Teen offers a lot of benefits, and here’s are a couple that they’ll find hard to argue with: it generally costs about the same as treatment with conventional braces, and it is covered by most dental insurance plans up to the same amount as treatment with conventional braces. If you’re a parent looking for information about Invisalign® Teen, we think you’ll be impressed by what this extraordinary technology has to offer. At Signature Smiles Family and Implant Dentistry, our Invisalign® certified dentists, Dr. Cristin Dowd and Dr. Ken Wu, can provide your teenager with a full set of clear plastic aligners customized to his or her unique needs. 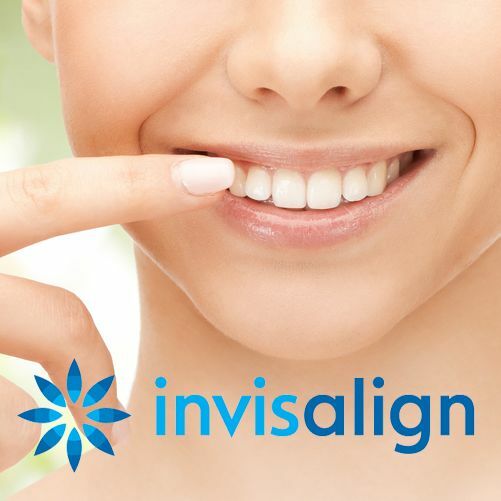 They will gladly explain the advantages of Invisalign® for teens during a consultation at their Woodinville, WA office so that you can be certain that you are making the best possible choice for your child. So teens and parents unite - here’s something you can both agree on: Invisalign® Teen. What Makes Invisalign® Teen Different from Its Parent Product? Because Invisalign® aligners can be removed for eating, brushing, and flossing, there is the possibility that patients might fail to wear them for the minimum of 20 hours a day that is necessary to achieve the best possible results. When adult patients fail to wear their aligners as recommended, they ultimately have no one but themselves to blame. However, teens may benefit from a little additional oversight. That’s why Invisalign® Teen aligners feature blue indicator dots that change color when the aligners have been worn for the minimal 20 hours each day as advised. Both parents and our dentists can therefore confirm that treatment is progressing as planned. Teens are also inclined to be forgetful at times, particularly with their busy schedules and active social lives. We understand that. That’s why we provide up to six free additional aligners with the Invisalign® Teen system. If a teen patient misplaces an aligner, we will replace it free of charge up to six times. Otherwise, Invisalign® Teen operates on the same principle as its parent product. Each aligner is worn for approximately two weeks, at which point it is traded out for the next aligner in the series. Each aligner is slightly different from the previous aligner, with the last in the series representing the final, ideal positioning of the teeth in the mouth. Treatment time with Invisalign® Teen takes roughly the same amount of time as it would with conventional braces. To learn more about Invisalign® for teens, or to schedule an appointment for your teen, please contact Signature Smiles Family and Implant Dentistry today.